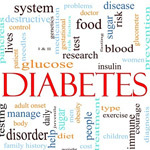 THURSDAY, Nov. 20, 2014 (HealthDay News) -- The cost of diabetes care in the United States has increased 48 percent in recent years, climbing to more than $322 billion annually, a new report shows. Even greater increases in cost were seen with prediabetes care, which have risen 74 percent, and undiagnosed diabetes, which have jumped 82 percent, the researchers added. In 2012, excess medical costs and lost productivity associated with diabetes totaled more than $1,000 for every American. That total includes $244 billion in medical costs -- including doctor's office and hospital visits, prescription drugs and other health conditions such as high blood pressure and kidney complications -- and $78 billion in lost work productivity. That same year, the cost of prediabetes -- a condition in which a person has high blood sugar levels, but not high enough for a diagnosis of diabetes -- were $44 billion, while the cost of undiagnosed diabetes was $33 billion. The estimates include 21 million people with diagnosed diabetes, 8.1 million people with undiagnosed diabetes, about 222,000 pregnant women with gestational diabetes, and 86 million people with prediabetes, according to the study published in the December issue of the journal Diabetes Care. "These statistics underscore the importance of finding ways to reduce the burden of prediabetes and diabetes through better prevention and treatment," lead investigator Timothy Dall, managing director with IHS Life Sciences of Englewood, Co., said in a news release from the American Diabetes Association. IHS Life Sciences analyzes cost data for the health care industry. "The costs, in both financial and quality-of-life terms, are exceptionally high, and in many cases could be preventable," Dall added. The findings highlight the need to identify and treat people with prediabetes, according to an accompanying editorial by experts including journal editor William Cefalu, Matthew Petersen, managing director of medical information at the American Diabetes Association (ADA), and Dr. Robert Ratner, chief science and medical officer at the ADA. "We believe that identifying prediabetes is worthwhile from both a clinical and a public health standpoint," and the "need to identify those with undiagnosed diabetes is even more pressing," they wrote, because untreated diabetes can lead to costly health complications such as heart and kidney disease, nerve damage and eye problems. "The crisis is worsening," the editorial concluded. "The time to act is now. These data clearly should signal a call for action."